Generating excitement and volunteers for CCD is rather daunting. Finding people that want to be a catechist is sometimes like finding a needle in a haystack. Each year it becomes harder and harder to find CCD teachers because parishioners do not want to be challenged with such an undertaking. Most feel that they are not qualified to teach and do not have the skills for classroom management. Others believe that they do not have the time nor patience to be a catechist. 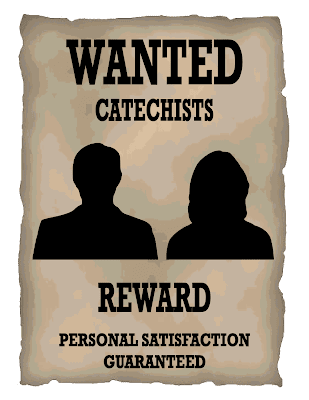 So how can you find catechists? • Have posters and announcements in the church bulletin. For example: Help our children be all they can be. Become a CCD teacher and use your talents God has given you to help teach our faith. • At the end of Mass during announcements let the congregation know that your church is looking for a few good men and woman to be a volunteer and teach CCD. Ask them if they are looking for ways to make meaningful contributions to your church, to maintain their skills (or learn new skills!) and to interact with others. • Spread the word that catechists are needed and that it is a rewarding experience. • Flat out ask people to be a catechist. They are more likely to consider being a catechist if someone asks them face to face and will usually not to turn you down. • One of the best sources of future volunteers is current volunteers. It is likely that if someone is passionate enough to volunteer their time, they are likely to have at least some friends who share those same passions and interests. Also, a person who is already a catechist should not only have a good understanding of the church’s needs, but also what types of personalities would do well there. In other words, a current volunteer can be the perfect volunteer recruiter… but only if they like the church enough and feel appreciated enough to recommend the job to others. Keep volunteers happy, and be sure to let them know about any available volunteer positions. • Have a catechist recruitment luncheon. An organized get-together will provide a good way to exchange information about being a catechist and how much their help is appreciated and needed. Can you think of ways of recruiting volunteers to be catechists?